Nothing goes better with Chili then a little cornbread. 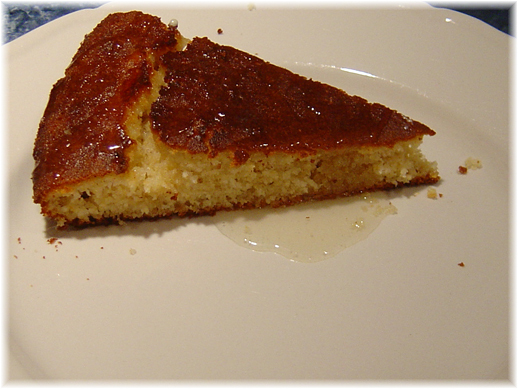 Especially when said cornbread is sweet buttermilk cornbread, hot out of the oven, slathered with butter and drizzled with honey, with a crispy outside from a hot cast iron skillet. Is your mouth watering yet? I'm going to share my cornbread secrets with you, and I've been told many a time that my cornbread is the best! Don't have buttermilk? I keep a buttermilk powder on hand for baking when you want the buttermilk flavor, without added liquid. Or quickly make your own: for the 1 1/2 cups this recipe calls for, remove 1 1/2 Tbsps milk from 1 1/2 cups of milk and add in 1 1/2 Tbsps of vinegar or lemon juice, and let it sit for 5 minutes, then add to the recipe. Now, this week I got to up the secret factor, because I got to use some AMAZING honey, and I don't know if I'd ever be able to live up to it with any old honey again. I got my honey from Haff Apiaries (701.663.1619‎) in Mandan, North Dakota, it's raw unpasteurized honey and the best I've ever tasted. I also used White Lily White Buttermilk Cornmeal Mix, this is hard to find up here in North Dakota, so I order it online. 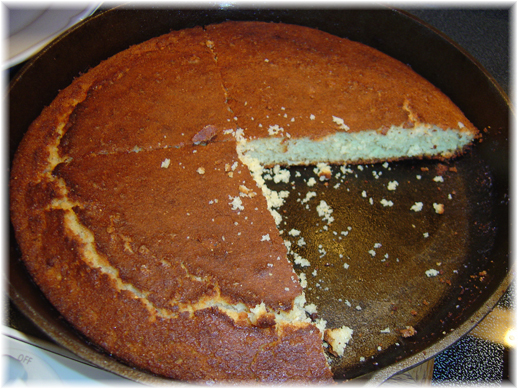 While I do think it makes a better cornbread, you can use whatever corn meal you have. Pour into skillet and put in oven for 20 - 30 minutes (depends on the skillet size, start checking on it at 20 minutes. You want the top to get to a nice deep golden color.